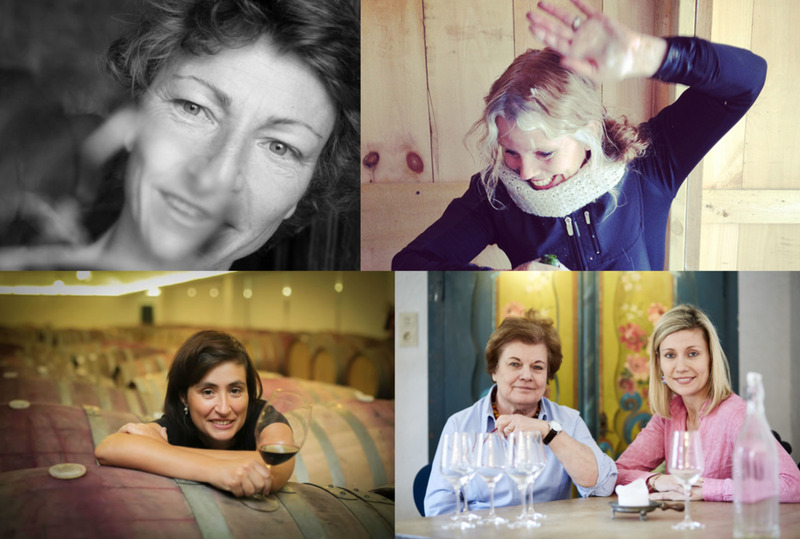 Fearless female winemakers making all natural wine! Helma and Marlies Müller-Grossmann – Austrian mother and daughter duo, Helma and Marlies Müller-Grossmann, belong to a community of female winemakers called Women & their Wines. Their philosophy really says everything you need to know! In the traditional wine-growing region of Kremstal, Helma and Marlies cultivate 10 hectares of vineyards. The ultimate aim is to create delight – wine in harmony with nature and always top-quality. The south-sided terraces of 'Steiner Point' are layered with gravelly rock and soil, and thanks to the mineral surface, this is perfectly suited for a classic Riesling, which we’ll taste on Friday. We also have their juicy Zweigelt rosé open – fragrant, watermelon-pink with strawberry notes on the palate. France Crispeels – France Crispeels, native to Belgium, is as friendly and charming in person as her wines from Vignoble Réveille. After studying architecture and working in business administration, film and writing, she attended enology school in Marseille shortly after her son was born in 2000. In 2006, Crispeels launched Vignoble Réveille in the Languedoc-Roussillon, not far from the French Pyranees, with the purchase of a very old Carignan and Grenache vines. She uses all biodynamic winemaking, and her natural wines at Vignoble Réveille speak from the earth. We're opening ‘Elan’ - a blend of Grenache, Carignan, and Syrah grown on granite and gneiss soil. After being fermented in whole bunches to preserve the roundness of the fruit, ‘Elan’ is rustic and refreshing with cranberry tartness and earthiness. Deirdre Heekin– After attending Middlebury College, Deirdre Heekin opened a small bakery and café in Woodstock, Vermont. The café morphed into a restaurant with Deirdre’s husband, Caleb, as the chef and Deirdre as the wine director. They grew their own vegetables and herbs in their garden for the restaurant and one day wondered why they didn’t grow their own vines – fast forward to 2010 when the first vintage of Deirdre’s company La Garagista was released! Today the café is closed, but the winery keeps growing. Deirdre is a force of nature, and also a wonderful, witty, smart woman to chat with. Tomorrow we’ll try ‘Harlots & Ruffians,’ a white wine made from La Crescent and Frontenac Gris grapes. This is considered to be a ‘baby orange wine’ – the Frontenac Gris grapes were aged in glass demijohns, and La Crescent grapes had six full weeks of skin contact. This wine is a mouthful of ginger, spice, apple pie, peach blossoms, and hazelnuts. There is a whole lot going on – it must be what the mind of Deirdre Heekin feels like! !